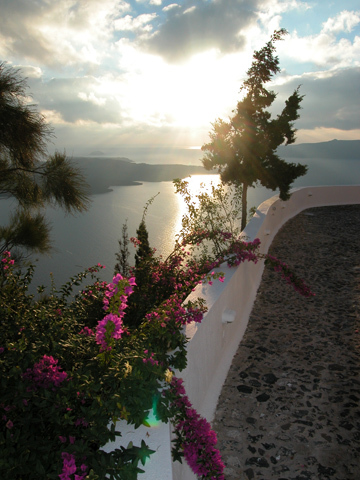 Santorini is Travel & Leisure's #1 Island for 2011. Santorini was voted the world's best island by Travel+Leisure magazine in their 16th annual World's Best Awards of 2011. Holding the number six spot on the 2010 list, the island has been a favorite among Travel+Leisure readers for years. This was Santorini's first year at the top, outshining impressive contenders such as the Galapagos, Bali, and Hawaii islands. Travel+Leisure's Best Awards annually reveal readers' favorite hotels, cities, islands, cruise lines, airlines, car-rental agencies, spas, and tour operators. The magazine is consistently regarded as a trusted and definitive global source for the finest places to go and the leading companies to take you there. The 2011 awards will be the cover story of Travel+Leisure's August issue.